Corra is proud to announce that we’ve once again been honored with Magento’s Spirit of Excellence Award. Our agency, a premiere solutions partner for fashion, beauty and lifestyle brands, was recognized for our commitment to client success at the 2015 Imagine Commerce conference in Las Vegas. Corra becomes the only agency on the East Coast to win this award four times in a row, and we’re thrilled to have earned this distinction. Magento, the world’s fastest growing ecommerce platform, presents this annual award to Solutions Partners who provide exemplary service throughout the year to Magento clients. Evaluations are rated across a number of key areas, including commitment to quality deployments, merchant satisfaction, growth, innovation, penetration in emerging markets, and strategic planning. 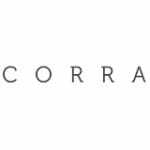 Corra is pleased to have made the grade once again, as one of only four agencies in North America to take home this award.